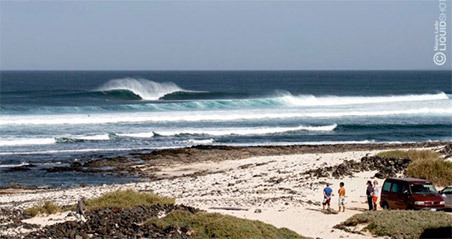 Package for all advanced level surfers who want to discover the best spots on the island. Individual course with private guide or max. 3 people group. 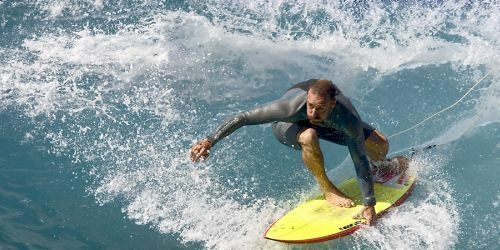 There are numerous powerful surf spots such as La Santa, El Quemao, El Muelle, San Juan, Punta Mujeres, etc ... and get in the water and surf with a local guide give you more safety and self-confidence! We recommend this pack in the most swell frequency months, from September to March. 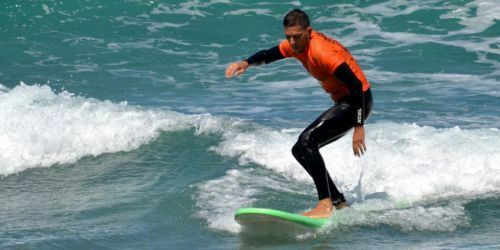 This camp is the official Surf Tech center with the possibility to experience the very different shape of top quality boards, from Short to Longboard. 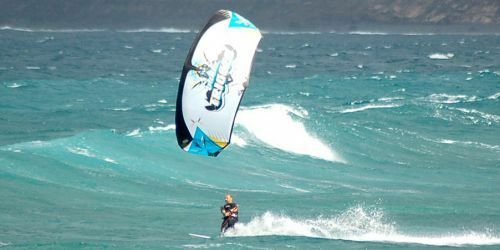 Lanzarote has so many chalenging spots, famous around the world for their power and high quality of its waves. The constantly mild climate of 20-25 ° C allows you to surf the whole year! Lanzarote international airport (ACE) is located near Arrecife city and it is connected by international flights from around Europe and also by low-cost European flights. The surf camp is about 30 minutes away from the airport. 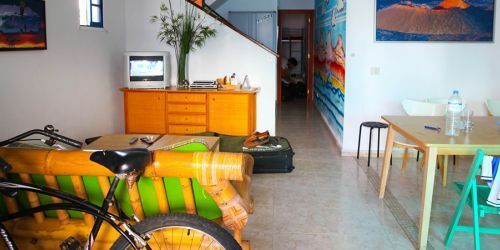 Rental car: We recommend renting a car to reach our surf camp in Playa de Famara, in Lanzarote. Normally rental car rates are quite cheap in the Canary islands. Taxy: Getting to our surfcamp by taxy is quick and easy. 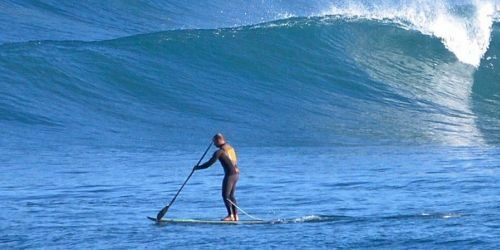 Surfcamp airport shuttle: If you prefer, we can come and pick you up at Lanzarote airport, for an additional cost. Lanzarote and all the Canary Islands are part of Spain, so part of the European Union. An European identity document is sufficient to travel in and out the country. Healthcare is free for the European health card holder. Most nationalities out of European Union do NOT need a special visa to go to Spain (90 days on arrival), we always recommend to check the validity of your passport before traveling (at least 6 months validity from the scheduled return date) and to take various copies of your passport with you, if the original gets lost. Public and private hospital facilities have high standard level, however, we recommend traveling with an international travel insurance if you are NON European citizen.